I’m very pleased with the work that their crew did. I was told that they were booked out about a month but due to the size of the project (about one hr) they were out in less than a week. Those are the surprises I like. When they left the only thing they left were the gutters beautifully hanging on the garage. Great job guys. I was considering installing new gutters with gutter guards, and I also knew that I had some rotten siding that needed to be replaced. I contacted several companies to help determine exactly what work needed to be done and to provide estimates for that work. Of the four companies that visited my house, no one impressed me more than Tim Howell, owner of Rain-Go. Tim spent more than two hours (!!) examining my house, climbed over the entire roof, photographed issues of concern, and then discussed with me in detail the work that he thought should be done. (I should add, I contacted Rain-Go because I was so impressed with the info available on their website: Tim has posted dozens of videos of his crews doing the actual repair work on homes, providing audio descriptions of their process while at work. The transparency of this company astounded me, and the videos showed an amazing commitment on the part of these guys to do the very best job possible, working coherently as a team.) Based on the videos I’d reviewed and the confidence I developed in Tim based on his visit to provide an estimate, there was no doubt at all that I wanted Rain-Go to do this work. I can’t express strongly enough how happy I am with that decision. From start to finish, working with Rain-Go was a great experience. From every contact I had with Susan, the happiest and most upbeat scheduler and office manager I’ve ever dealt with, to the actual work done by Tim’s crew, I could not have hoped for a better outcome. The Rain-Go team arrived on time, worked non-stop and finished the job in two days, as scheduled. As a team, it was clear that these men had worked together for years, and their experience showed both in the commitment to their work and the quality of the job they did. They weren’t satisfied until every detail of the work, large and small, was completed to the highest standard. I am so happy with the job they did! And their clean-up at the end was absolutely meticulous. I’ve had handy-men come in to do very small jobs who left large messes behind, but that was not the case with the Rain-Go team. Frankly, I was amazed at how spotless my deck and yard were when they left! Rain-Go charged a modestly higher rate to do the work I needed to have done, but it was completely worth the slightly higher cost: These guys are perfectionists, they know what they are doing and they work as a well-oiled team to do the job right. I was so pleased, I have already now booked them to replace my roof! I’m a full-time engineer and a do-it-yourselfer and place high standards for quality workmanship on what I do and what I pay others to do. I have contracted out many types of jobs out in my house over the years that I didn’t have time for which include: sheet rock, tile, interior painting, large screened in porch. As you know it’s not easy finding quality contractors and its extremely painful when you don’t. Even if someone else had a good experience with a contractor there is no guarantee you will have the same experience. I can give you many war stories regarding several contractors that I thought would be great but had to fire because of poor workmanship or just were difficult to work with. This is not the type of experience you want. Regarding this large job, I had been contemplating (actually procrastinating) exterior work on my house for years. My roof was 17 years old and looking shabby, the masonite siding was rotting in various areas, several window sills and brick molding had wood rot in various spots, the soffits and fascia boards were rotting, I was tired an cleaning out the gutters 12-15 times a year, plus I wanted to replace my windows. I was torn with how much of the work I could reasonable do myself versus how much to contract out. After much debate between myself and wife (mostly myself), quotes with various companies, and realizing I would have to give up my weekends for the next three years to get all this work done – I ultimately felt confident to turn this work over to Tim at Rain-Go. We’ll almost. I decided to give the roof work to another contractor because his price was reasonably less and he also gave me the confidence of good workmanship. The roofer also had good reviews from neighbors. We discussed the roof job for 7 months! When it finally came down to coordinating the exact start date and other details his flexibility and my confidence level in him began to diminish. Finally he wouldn’t work with on the “no large trucks in my driveway” stipulation because I have had concrete busted in the past. Needless to say he backed out of his commitment two days before he was supposed to start! I was really mad but by this time I had gotten to know Tim and his workers and was happy to offer him the work. Tim went through hoops to rearrange his roofers to accommodate this last minute contractor glitch and I ultimately felt much better that he was doing to work. The amount of anxiety and problems that can be avoided by giving all your work to a single contractor will be greatly reduced!! There is a lot that can go wrong when different contractors are doing work that’s closely coupled, like siding, painting, gutters, roofing, and windows. You will sleep better at night during the project and after the work is complete when you have someone you can trust that has high standards of workmanship, even if it is slightly more expensive. Trust can’t be assumed it must be earned. Tim and his entire team at Rain-Go earned our trust. My wife and I highly recommend Tim for siding, gutters, painting, gutter guards, and roofing! Replaced original 20-year old gutters on entire house with new 6 inch gutters and covers. Tim came over and reviewed our options as well as recommendations for matching the color of the new gutters with our existing trim. The crew completed the job in one day and also replaced a few fascia boards that were rotted. Job went very well and we are very pleased. They installed new rain gutters for our home. It went very well. The gutters look fantastic. We did a nice Charcoal gray to tie into the roof and they look fantastic! The entire process from quote to installation was quick, efficient and professional. I highly recommend this company to others looking for gutter work. We had a new roof put on our house. I was extremely impressed with the quality of materials and professionalism of all of the workers. They arrived on time and did a great job keeping the job site clean and safe throughout the process. They did a great job protecting the shrubbery and areas surrounding the house as they were taking off the old roof. They were very quick and professional, completing the job in just a few days. I have contracted with them to put on new, larger leafless gutters once the house is painted. I needed replacement of my gutters, soffit, and fascia for my home. In addition, there was some water damage from a section to the house where the existing gutter system was not properly flashed and water got into the exterior siding. The RainGo team was punctual, polite and professional. The quality of their work is outstanding. I can tell these guys are true craftsmen so you will not be disappointed with the end result. While they were not the least expensive of the estimates I got, they were the best VALUE. Nobody needs to worry about paying for shoddy repair work and then needing to redo it a few years later. From the looks of it, the work they did at my home will last 20 years +. Fantastic! The crew was great- always professional, punctual, and polite. Tim was never pushy and gave us honest feedback about what needed to be done to repair extensive wood rot damage and protect the investment of our home. We had to wait because they had projects lined up before us, but it was completely worth it. Highly recommend! Tim’s crew replaced rotten trim and fascia boards, replaced our roof, replaced our gutters, repainted the exterior or our home, restained the deck, restained the screened in porch floors/ceiling, and repainted the screened in porch walls. I used Rain-Go 2 yrs ago on my last home and called them again because I was very please with their work and the cost. Once again they did a great job. Tim, the owner, is great to work with. I knew exactly what I wanted this time but he will show you many options if you want to see what is available. They had the work completed in a few hours. When the next heavy rain came, I realized I needed another small piece of gutter and a down-spout added which he had someone come out within the week to do, and also make a few adjustments based on my observations during the rain. The gutters look great and are doing a great job. I was totally impressed with the work done by RainGo. When Tim came out for the estimate, he spent THREE hours assessing every inch of our home. Suzanne was terrific to work with getting our home scheduled and running through all the details. And Tim’s team was fantastic — true craftsmen who worked full days throughout the job! They were respectful, did quality work — the roofing, wood rot repair, gutters, and painting — and cleaned up throughly at the completion of each day. Praises all around for a job well done! Excellent work for a fair price. I was very happy we selected RainGo for this job. Excellent. Tim the owner came out to give me an estimate and go over my choices. I had to wait a couple of months before they could get out to my house because of the volume of work they had at the time. But I was clearly advised of that and had no problem waiting. When it was time for the job to be done the crew was right on time, the work was done wonderfully and the price was right on target. Hurricane Matthew came through and was a final exam on the gutters. They worked perfectly. I paid for bigger 6 inch gutters and a higher end gutter guard and the price was very affordable. Excellent. Replaced all gutters and downspouts. Excellent. Tim was great to work with. He kept me posted on expected start time, and was there when they said they would be there. His crew work very hard, and Tim was on site most of the time. I highly recommend that you include Rain-Go in your list of possible roof/gutter contractors. This a letter of recommendation for RAIN GO, I recently had problem with water in my bathroom, from water dripping down from the windowsill, I called them up and they came to inspect my window and low and behold I had no wrapping on my house, They said I had no wrapping and I needed this to remedy the problem, I said go ahead and do what you need to do, they were the utmost professional group of men to have doing work on my house. I COULD NOT FATHOM WHAT THEY DID, They worked on it for the day, and when they were finished you could not even tell that anything was done or disturbed. My backyard, porch and grass looked like nobody was even here. THEY DID AN IMMACULATE JOB OF CLEANING UP THEIR WORK. Not even a nail was to be found. I highly recommend them if you need any work to be done on your house. They are a jack of all trades, I was grateful for their quick response to my problem. Thank you very much Rain Go. From the beginning Tim was professional and direct. He answered all questions and responded in a timely manner if the phone call was missed. His crew showed up on time and completed the work without breaks (even though I offered). They welcomed me to hang out and ask questions as they went along and in no way made me feel as if I was in the way. The work consisted of dark brown custom gutters with hats and downspouts. Before installing the gutters they rebuilt and painted some rotted soffit and fascia boards as needed for a secure foundation to hang the gutters. If I recall correctly they showed up at about 8am and were finished by lunch. To give you an idea my home is about 1500 sqft. Rain-Go’s work is excellent! Susan has a very pleasant demeanor ,knowledgeable and genuinely wanted to help schedule service for me. Tim was professional,punctual and explained in detail what the problem was. He installed flashing on the gutter to stop the overflow of water. He did not recommend an expensive and possibly unnecessary repair. I found his honesty refreshing and highly recommend his company. Tim arrived at my house at the arranged time to look at the job and provide an estimate. I found him to be technically knowledgeable, observant, insightful, and a careful listener. I really liked his approach to some tricky roof work. I found the warranty that he offered on his work to be superior to the other estimates. Cost is higher than other estimates that I received but judging from the estimate description, it appears the difference is because of better quality and thoroughness. They fixed my furnace flue & were a tremendous help with a roofing/gutter inspection. Wonderful people & service. I would use them again. Roof repair, new shingles, gutter replacement. Highly recommend them. Tim arrived very quickly for a walk around and estimate following my initial contact with Susan. We discussed several projects on our to do list. Tim made recommendations as to how certain items needed to be addressed. He completed the estimate during the first visit and advised when the next opening in their schedule would be. Following our approval, the crew showed up in full force exactly when they said they would. They let me know exactly what they were going to do and when. Everyone on the crew was professional a very courteous. Everything was cleaned up and put away properly at the end of each day. I am completely satisfied with the work and the entire process. They show up when they say, do high quality work for a fair and reasonable price. They may be very busy and can’t get to you right away. If so, you will know that up front and it is well worth any wait that you may have. One other item on my to do list is roof replacement. I have some life left on it, but will definitely have the Rain-Go crew back when it is time. I found out about Rain-Go shortly after I first moved to North Carolina in 2007. I was searching online for a company to install new gutters on a home I owned at the time in Wake Forest, and saw several rave reviews online. I called and asked for an estimate. Tim met me at the house, gave me a great price, and I hired him. Great job! Fast forward to 2014, I was having my house exterior in Raleigh painted a couple of weeks ago and wanted to install new, larger gutters. I didn’t even get any other estimates, as I knew I would be hiring Tim again. I asked him to quote some minor roof repairs as well. The work was completed yesterday, and they did a wonderful job! My husband is pretty hard to please, and after seeing their work, he told me we will definitely be calling Tim again when we need to replace the roof. I would not hesitate to recommend this company. Replaced existing insufficient “builder’s” gutters with larger ones because we had water seeping into our crawl space. Also replaced a few pieces of vinyl siding that had been previously damaged by another contractor. They did a great job and the price was much lower than the competitor’s. As far as I can tell, our water issues have been cleared up. The World Famous Tim Howell met me at our property and thoroughly explained my options in regards to property drainage and location of the downspouts. Tim noticed a future roof drainage issue that could arise where the roof and garage met. Our inspector had noted this in a prior report. Tim recommended a custom gutter arrangement that resolve any future issues. It would be a small 2′ section of gutter that would drain to a predetermined downpipe. Other companies hadn’t even mentioned this but I agreed that this would be a great idea to alleviate future roof problems. I asked if he could help with a bathroom vent pipe sleeve that was coming loose from the roof as well as some singles at the roof peak that were damaged from prior aluminum fascia installation. Without hesitation he said he’d take care of it at no charge. His installers showed up on time and were completely finished in 3 hours. Excellent work guys and I apologize for the late review. I will definitely use Tim for future repairs and upgrades! Removed old gutters. Removed and repaired rotted fascia board. Caulked and painted both new and existing fascia before installing the new gutter system. They also installed a gutter cover system to keep out leaves and debris. Tim did a great job in explaining all the options when he came out to give us and estimate. We understood how additional charges would be calculated for whatever rotted wood they needed to replace. The crew showed up on time both days for what was a two day job (due to a great deal of rotted fascia). They were courteous and professional and did a thorough job of cleaning up at the end of both days. They also took the time to point out several problems that needed to be corrected in relation to the recent replacement of our roof shingles. It was also a pleasure to work with Susan in the office. Tim is the owner of the business and showed up on time for the estimate. He told me about the gutters he uses and showed me a book with samples of different colors and styles. I asked about the leaf guards and we walked over to the back of his truck and he had a display of about 8 different guards. He told me about each of them – the pros and cons – and then made his recommendation but said he would put whatever I wanted on. I went with his recommendation and they look great and the first test went extremely well – they performed perfectly with the first hard rain. Tim also provided a brush that can be extended enough to reach the gutter guards so we can brush off the leaves and pine needles as needed. The day of the installation it kept raining on and off but they waited it out and finished the job. I am very pleased with the results – both the look and the performance. Replaced 16 year old gutters with a 6″ seamless gutter system with nose-over gutter covers. Repaired rotted wood in an area above the deck. We were experiencing issues with clogged gutters and we had squirrels attempting to find a home in our house. I called Susan at Rain-Go’s office and she arranged to have Tim, the owner, meet with me the following week. I could tell right away that Tim knows his business and takes great pride in his work. After spending close to an hour with him, I knew he was the one we wanted to do business with. Yesterday, the crew showed up at 7:45 AM and spent all day installing a beautiful new gutter system. I was amazed they were able to complete the job in just one day. When they left, my yard, sidewalks and driveway looked better than it did when they arrived. You could not tell they were there at all! All in all, we are extremely pleased with Rain-Go and I highly suggest that anyone thinking about replacing their gutters or adding gutter covers call Tim first. You won’t be disappointed. My house, as built, didn’t have any gutters on the front or side, and I never wanted to install them because I thought it would make the house loose some of its charm. But the gutters that Rain-Go put in are beautiful, just like those marketing photos you see on the Internet. I mean, the colors match the trim, the shingles run seamlessly onto the gutter covers, all the trim and detail is just perfect. My wife makes fun of me since I’m always bragging about my new gutters, and standing in the front yard admiring them. Since they were installed, there have been a couple of heavy rainstorms, and I’ve walked around with an umbrella in hand to see how the gutters work, and they’re just perfect. I just look at the way everyone else’s gutters are clogged with the fall leaves–and mine aren’t. After taking a close look at the work Tim’s team did, I’m really impressed at how good of a job they did. You get so used to seeing other contractors cut corners, do things incorrectly, or don’t fix things that it’s a pleasant surprise when a company like Rain-Go steps in and does things right, repairs things that would’ve become a long-term problem, but which a lot of contractors sweep under the carpet. Tim’s team is neat, professional, and very knowledgeable. They take pride in doing things right, and everything they do just looks professional. If you’ve ever watched “This Old House”, and wish you had the guys on the TV show come out to do your place, Rain-Go is it–it’s just like having the PBS TV team come out, minus the cameras. They know so much more than how to do gutters–they can do just about anything. Everybody on the team has worked together for years–there are are none of those drifter guys who work in construction who do sloppy work on Tim’s team, and to top it off, Tim supervisors them personally, as he only keeps on staff one team of workers. These guys are about the only ones who’ve ever done work on the outside of my house who I’d trust entirely to say to them, “Hey, just take care of this for me”, and everything would be done right without me having to check up on them. I’m sure you could save a few dollars by going with a lower bidder, but I guarantee that the other team won’t do as good a job as Rain-Go. Rain-Go installed gutters on my new house and installed leaf guards in a section of the gutter. I moved into a new house on June 1, 2014 . Did not realized that Johnston County does not require gutters in their building code thus I missed that opportunity to negotiate gutters before closing on the house. In September I contacted three companies to provide estimates for the installation. The first company gave me a big song and dance routine but at the end did not provide me with the estimate because “my spouse was traveling” and they wanted both persons present. The second company also provided a nice show to impress me and provided an estimate that was way out of proportion with regards to what the job would cost. I had priced the cost of materials at LOWE’S and knew about how long it would take for the install. Finally Tim from Rain-Go came in a went straight to showing me what he has to offer as far as materials and gave me some insights into gutters. He was right on point and knowledgeable. His estimate of the work was right on! 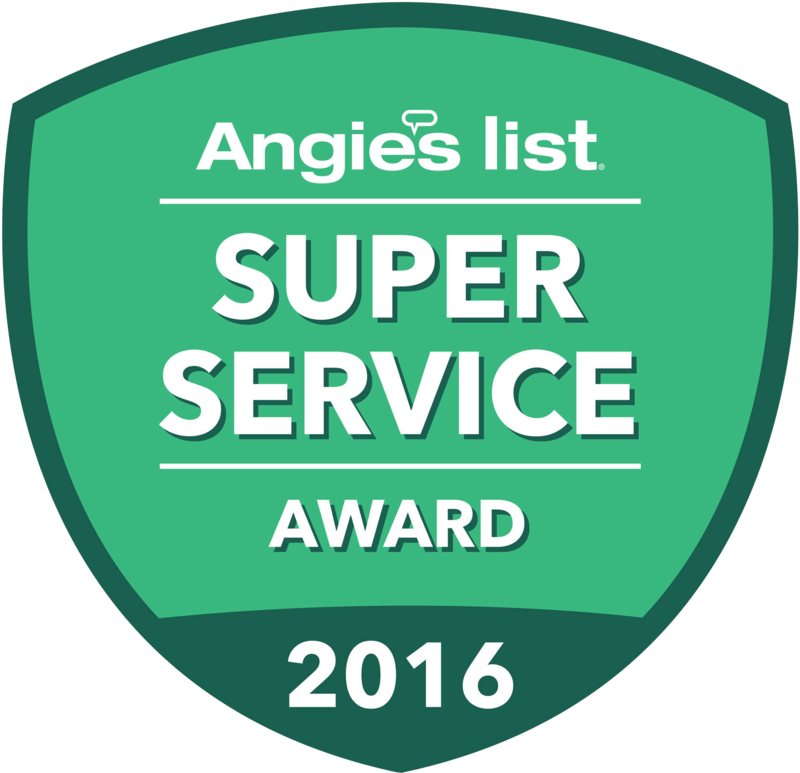 My decision was made to go with Rain-Go because of the over 300 comments on Angie’s List coupled with the reasonable price provided. The experience I had the day of install was positive. They crew was of a friendly demeanor and professional. At the end they asked me to walk the job with the foreman. I requested a couple of 45 degree bends to dump water in my driveway and they were quick to satisfy my request. A couple of weeks later and after torrential rains I noticed one of the valleys in the roof was collecting and shooting water with so much force that it was shooting over the gutter. I called that morning and the crew showed up in the afternoon and corrected the problem to my satisfaction. I am pleased with their work and workmanship and will use them any time the need arises for any work for which they specialize. This is my second set of gutters for my house,the first set was also installed by Tim. My original gutters were destroyed by hail. When I contacted Rain Go for my second set I was told he no longer covers the Fayetteville area. Tim’s office manager is a very witty, we’ll spoken,and knowledgeable lady ,I also found out later she is his wife. After telling him I was a repeat customer she contacted Tim and he said he would come look at the job. Tim will spend as much time discussing the job with you until he is sure all your questions are answered. Tim provided me a very detailed quote on all the jobs I had done with many options. I didn’t bother getting any other quotes for the job other than Tim due to the quality of work he did on my first gutters. My house has two sides that are over 70 feet long and my seamless gutters are perfect. Tim also replaced all the windows, and siding on one side of my house and they look fantastic. If you are looking for the cheapest price and don’t care about quality don’t call Rain Go. If you want a high quality job done at a fair price Tim is the man for you. Tim will show up when he tells you he will be there and will keep you very well informed on his progress. I will not hesitate to call Tim in the future for any repairs I need done, he is truly that good. Rain-Go installed new, larger continuous aluminum gutters and new larger downspouts on my house, to replace failing, poorly pitched and insufficient older gutters. The job went very smoothly. They were friendly and helpful during the estimate process, responded promptly and performed the work very soon after the estimate. Their price was also substantially lower than the competition, and they work under a licensed general contractor who can make further repairs as needed to trim boards as the job gets underway. Replaced old inefficient 3″ gutters with new 6″ new ones. Tim was very professional and explained all the different types of gutter systems and leaf guards. He helped me make an educated decision and never pressured me into any particular brand or style. Tim’s communication was excellent and they arrived on schedule and worked until the job was complete. They cleaned up as if they were never even there. I highly recommend Rain-Go for not only gutter needs but other services they offer. I have already received prices for additional work and will hire them again. Replaced gutters and downspouts, added gutter covers, repaired/repainted some fascia, flashed drip edge. I emailed to request an estimate to replace gutters. Within a day, they had contacted me and scheduled the estimate. Tim, the owner, came by to do the estimate. He was very thorough, looked over the existing gutters, and gave me detailed estimates with separate options for gutter covers. He also provided per-foot rates in case any fascia or flashing was needed once they started the job. I appreciated his willingness to answer questions (I had a lot, especially about gutter covers) without trying to give a high-pressure sales pitch. Once we settled on the work, it was scheduled about two weeks later. The crew arrived right on time and finished the job in a single day. They called me to keep me informed about fascia/flashing that was needed. They cleaned up well after themselves (I found a single nail from the entire job), and the gutters/covers look great. The final invoice had no surprises compared to the estimate I got. Tim was great when we met for the estimate. Very honest and helpful. I really liked the fact that he had a book with photos of different things that he and his guys had completed (gutters, back porches, etc). I also like that he had the different “samples” of the type of gutters in his truck. The crew showed up early, got right to work and got the job done. Any questions or areas that they thought I should be aware of, they did not hesitate to let me know (good, bad, otherwise) but did not try to pressure me into anything- just informed me. I was babysitting that day and the guys were very respectful about cleaning up and not being loud when the baby was sleeping and I went outside- I never mentioned anything about keeping it down since they weren’t loud at all but they were very polite and I appreciate that. All work was completed as on the estimate sheet. I am so happy with the completed job and will contact them for future projects. I actually had Rain-Go at my house almost a year ago to get an estimate on gutters for my house. The estimate was very reasonable but I was not able to get the money together to complete the job at that time. Fast forward to April, 2014 and I now had the money for the job so I called them and asked if the estimate was still valid. They had the original estimate on file and confirmed that it was still valid. They said they would call me the day before they would install the gutters. They, in fact, did as advertised and arrived between 8:00 AM and 8:30 AM the next morning as they said they would. I went over the location of the downspouts with the install crew leader and made some changes at the last minute. He made note of the changes and said it would be no problem. The installation went smoothly (they said only two hours but I was not home to verify). I checked over the installation when I did get home later in the day and it looked good including the last minute changes I made. Overall, I’m happy with the installation and the price. I was impressed they still had a record of the estimate they provided me almost a year earlier and that the price was still the same. I would use them again and recommend them to others. Rain-Go installed 6″ seamless gutters and downspouts on my home. They encountered some wood rot on the fascia and replaced that as well, which I truly appreciated but did not expect because it was covered with aluminum. They scheduled early, came on time, installed the gutter system very quickly and three hours later i received a call that it was completed. When I returned home, the install looked FANTASTIC! I chose to go with a dark brown color to blend in with the brick exterior and have received compliment after compliment from friends, family and neighbors. |I felt my entire experience from estimate to install was very positive. I would recommend Rain-Go to anyone. Replaced rotted wood around porch and replaced roof , excellent work done clean and as promised. Excellent company, great work done on time, workmanship is top notch. I will use them extensively for all exterior projects! Rain-Go installed gutters on the front and back of my house. Service was prompt, reasonably priced with excellent office support and communication……Excellent overall. Their work was excellent – totally positive experience. Since then, we’ve called them any number of times for various projects and they have always responded promptly, given us a great price and outstanding service. Our son-in-law contacted them based on our feedback and had them do a job for him – again, very satisfied customer! We’ve now got two projects in the queue for them and we have every confidence that they will continue their winning ways! Rain-Go cleaned out our gutters then installed Rain-Go Protection Gutter System. They did an excellent job, and matched the color to the roof line so it all blends in. Put in new 6 inch gutters and larger downspouts along with gutter covers. I WILL USE RAIN-GO AGAIN VERY SOON TO GET MY ROOF REPLACED. These guys were a little early, but not in a bad way. The worked very hard all day long and did an amazing job. Everything was exactly as they said it would be. There was some extra cost for some rotted wood they had to replace but they told me in advance that this was a possibility and showed all of the stuff that needed to be replaced. Everyone was very nice, friendly and professional. I plan to have them replace my roof soon. They are a bit pricey in my opinion, but I believe that they do good work with good materials and home repair is a bad area to cut corners. While they are not the cheapest, they are trustworthy. I had a competitor over to get another quote on the roof work I need done and he commented that “whoever did your gutters did a spectacular job.” And that other contractor also does gutter and roof work, has an excellent reputation on here and really impressed me with his professionalism. Many of his comments served to confirm some of the things that Tim (Rain-Go) said to me. Since I can’t believe that these competitors with such sterling reputations would be in cahoots on that type of thing, I have to believe that they’re telling the truth. Replaced wood rot, cornerboards around 3 dormers, remove center sections and replaced with PVC; capped bottoms with drip edge; replaced brick molding on one side of 2 windows, painted replaced materials. The team was professional and did a nice job on replacing the wood rot on the dormers and side windows. They were done in an afternoon and cleaned up the area once they were completed. I would use them again when needed. Rain-Go cleaned our existing gutters and installed covers on all the gutters to keep leaves and debris out in the future. They did a great job and we are very happy with the way the gutters work now. Tim and the crew were on time and very courteous to work with. Susan was very helpful and responsive with correspondence and questions. Great group of people. Rain-Go installed gutters and down spouts on my newly constructed home. We called Rain-Go a few months back, and Tim came out and gave us a quote. We got a 2nd quote from a well known national hardware retailer that shall remain nameless. The 2nd quote was a few hundred dollars more, and used materials of lesser quality. To make things even better for Rain-Go, the 2nd quote came with a 1 year warranty on parts and labor, while Rain-Go offers a 10 year warranty on workmanship and a 20 year warranty on materials. Our rear roof has a steep slope and a large surface, which was too much for the existing gutters in heavy rain. Tim came out and gave me an estimate for an upgrade to 6″ seamless gutters and 4″ downspouts (with leaf guards on one section by a large tree). His team came out and did an awesome job, and were finished before I got home from work. The new gutters have had no problems with spilling over (even in a few heavy storms since they were installed), look great, and the leaf guards are performing well. Great experience, I highly recommend them. Repair all our gutters, replace trim coil, replace some siding, replace all trim coil around garage door. Also took additional time to ensure no more leaking around the gutter system or any other areas that we would have not known by ourselves. Right ON TIME Steve and Jeremy showed up at our property to work for two days. Earlier in the year we had purchased all new gutters from Rain Go for all around our home. Sadly to say, June of 2013 all our gutters got abused by another contractor that was hired to replace our siding and we had to call Rain Go for repair. All gutters had to be taken down, for clean up from caulk all over, trim coil behind the gutters had to be all replaced, gutters put back on, so they function right, replace all trim coil around two garage doors. Any issues that they found during work, they corrected without adding on the price that we agreed on before work started. Replacing some siding, that also was done wrong by the other contractor. All work was completed as promised and after total clean up Steve and Jeremy went home to get ready for the next job waiting. The professional work from Rain Go is amazing and a true pleasure to watch. Steve and Jeremy worked very hard for two days, in the heat of the summer, to see that all worked mentioned above gets done to our satisfaction. AND YES, THEY DID FINISH TO OUR TOTAL SATISFACTION. At Rain Go they take pride in their work, and that shows each and every time they return to our home. At Rain Go they stand 100% behind their work and you can count 100% on their Warranty given to you by them, for work performed. After many bad experiences with other contractors, WE WILL ONLY HAVE RAIN GO TAKE CARE OF ALL OUR EXTERIOR WORK ON OUR PROPERTY. This way we will know, that we have the best care ever and are in good hands. WE WANT TO THANK ALL OF THE TEAM OF RAIN GO FOR THEIR WONDERFUL WORK AND SUPPORT IN A TIME THAT IT SEEMS JUST ABOUT EVERYTHING GOES WRONG, THANK YOU. Keep up the wonderful work you do :-). Tim came out and gave us an estimate for gutters (two estimates…both with and without helmets). We decided to go with his company and they came out and installed the gutters with the helmets. This was a new install…nothing needed to be removed. Tim was always pleasant, timely, professional, and easy to deal with. His crew performed the work when promised, and they left nothing behind (cleaned up). Job was done in less than one day. The gutters look great.